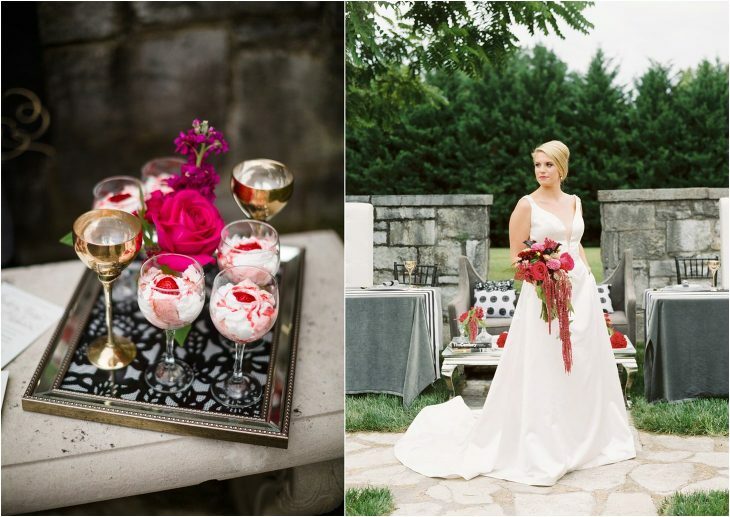 Today, we’re thrilled to share these photos from a wedding inspiration shoot at one of Knoxville’s newest wedding venues, The Kincaid House. 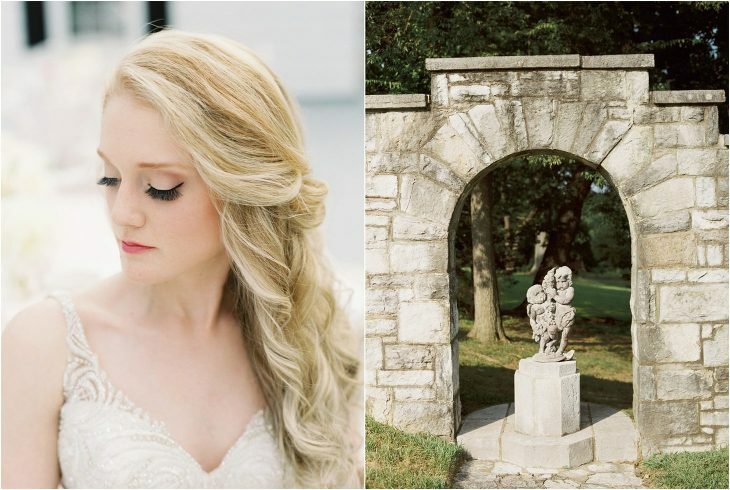 Allison at Live, Laugh, Love Weddings teamed up with Samuel Franklin Floral for this wedding shoot to come to life at the stunning venue on Eagle Bend Road in Clinton, Tenn. Inside the house was an intimate “This is Us” inspired ceremony and reception. Allison did all of the hand lettering and utilized DIY decor items such as tiles and a hand died aisle runner. 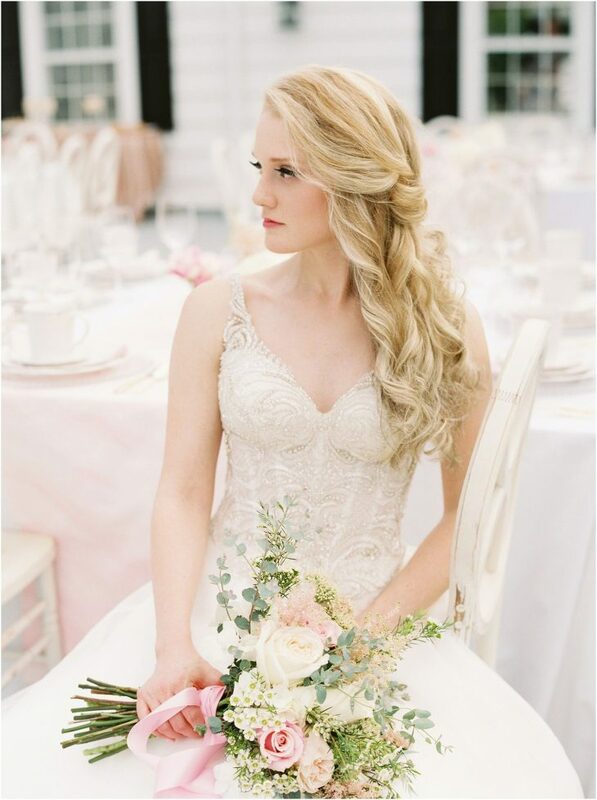 On the back porch was a blush pink and white reception with wooden chairs and a rose gold sequin table with brunch delectables from Bradford Catered Events. In the side yard of the Kincaid House was a boho themed design, with a serpentine table, moscow mule mugs, charcuterie boards, and the cutest pasta rolled on silver forks with blackberries. In the main garden was a grand reception design with a preppy southern style. White sofas from All Occasions Party Rentals, fried chicken and southern fare from Bradford Catered Events, and tables with white umbrellas graced the lawn while the fountain babbled among the tables. 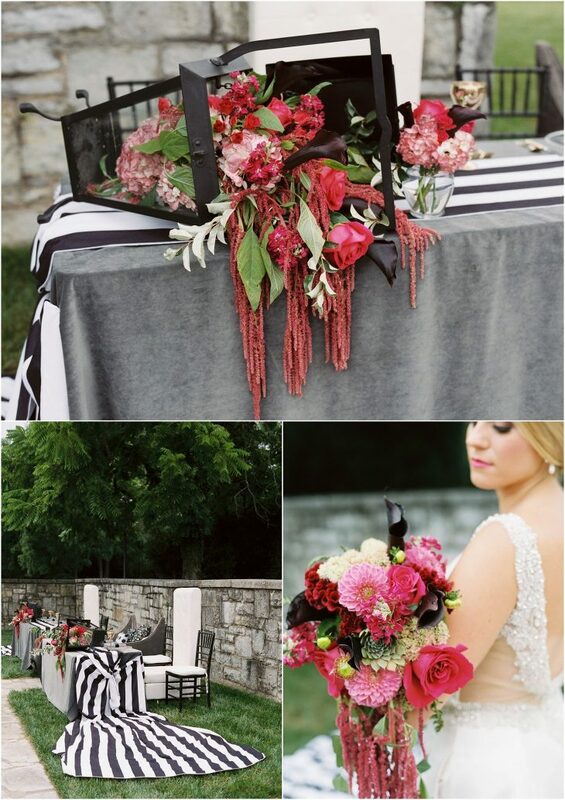 A stunning head table with a black and white striped runner graced the side lawn with red florals, gold goblets, and gray velvet linens. 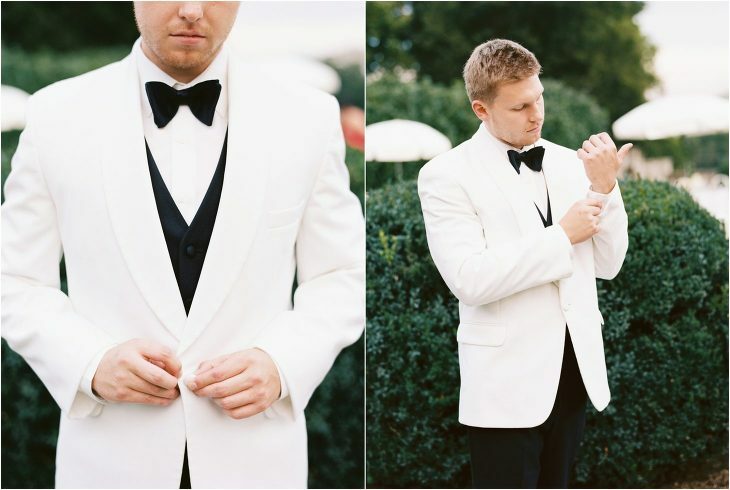 The ceremony site on the back lawn set the stage for this unforgettable wedding inspiration shoot. 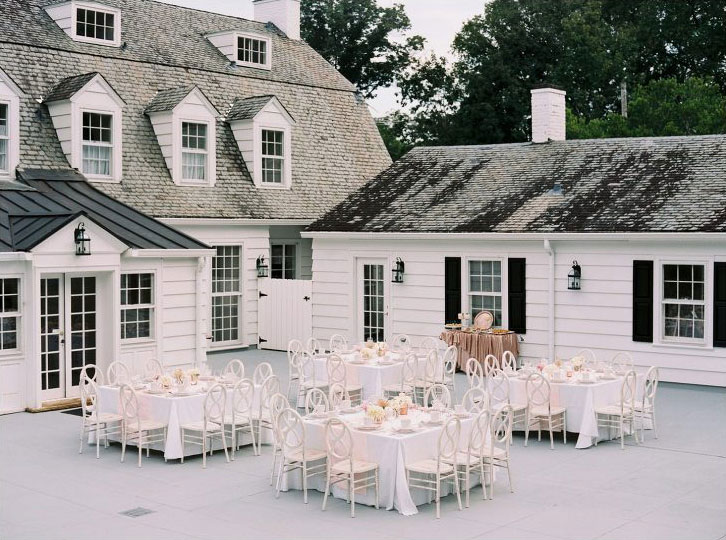 Sam Franklin truly outdid himself, with white drapery cascading from the tower and light wood ceremony chairs next to pink and yellow southern beverages. The Kincaid House is a picturesque Dutch colonial home built in the 1930s for Carl Kincaid and his wife. The stunning rock tower gazebo and garden walls are constructed from stone extracted from the local Norris Dam project, and there was a beautiful rainbow that spanned across the English walled garden while we were there. 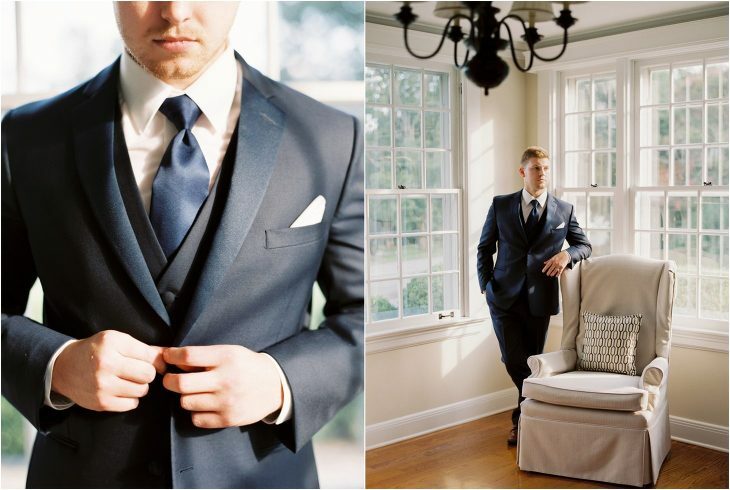 Enjoy this wedding inspiration shoot at The Kincaid House! The Kincaid House is an ideal focal point for your magical “I do” moment and endless photo possibilities. 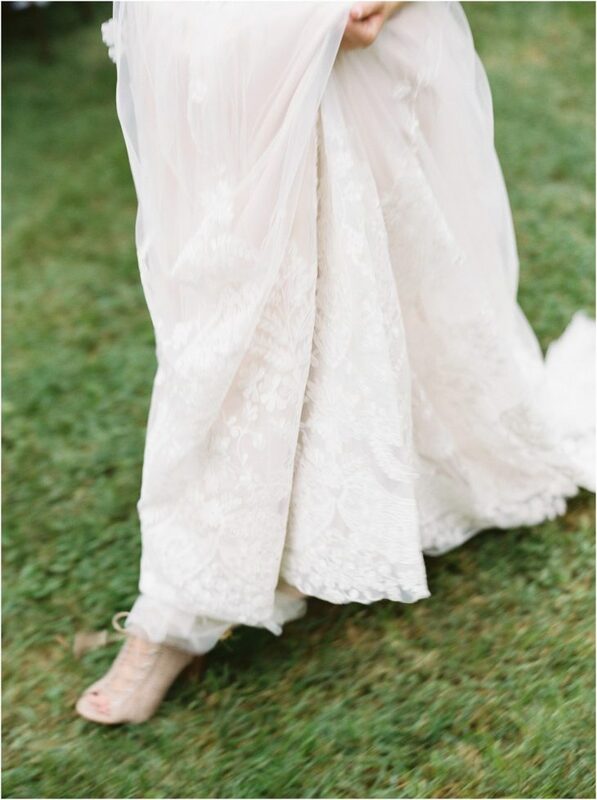 Nestled on picturesque and historic Eagle Bend Road sits a fabulous, 4-acre sanctuary, perfect for your wedding or private event. The Kincaid House offers a picture perfect setting for your wedding dinner party event in the greater Knoxville Tennessee area.